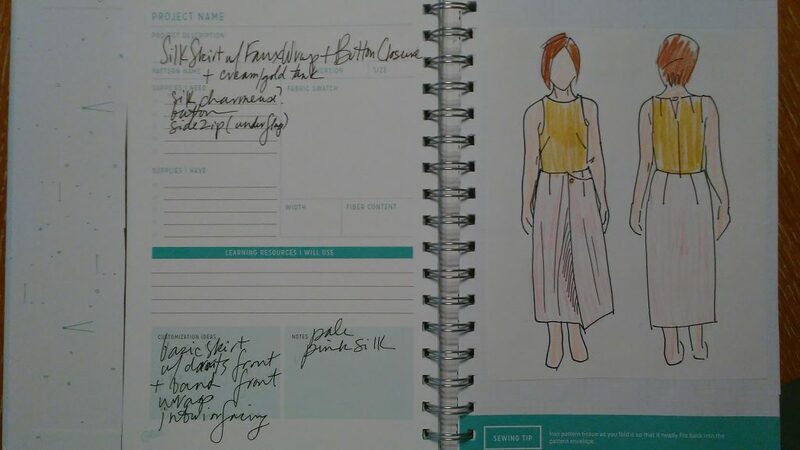 I’m so excited to finally share with you all my Work Wardrobe Sewing Plans! Going back to work after 8 years at home has been a bit of an adjustment. Especially finding clothes to wear to work. My handmade wardrobe was so eclectic/hippy/artsy momma. Nothing was really work appropriate! I’m starting from scratch here. My visual merchandising position at Club Monaco calls for an elevated casual look. Neutral tones and simple silhouettes with feminine details. It took some serious planning to flesh out my ideas, come of with a color palette and make my beginning fabric purchases. 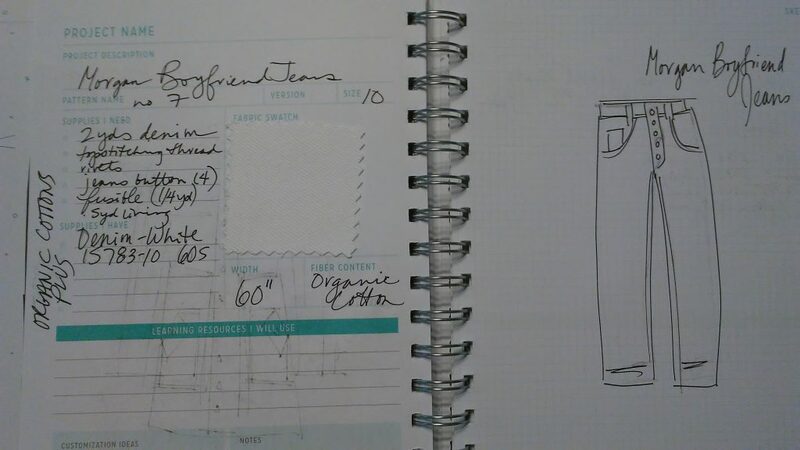 Plus I’ve been using my new Sewing Planner from Colette Patterns to pull together all my ideas! 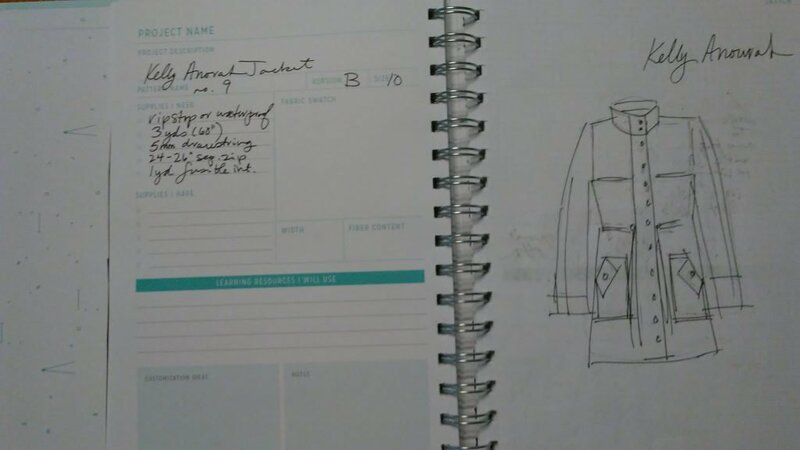 Designing Your Wardrobe helped with my drafting ideas as well as making up mood boards for the new image I want to project. 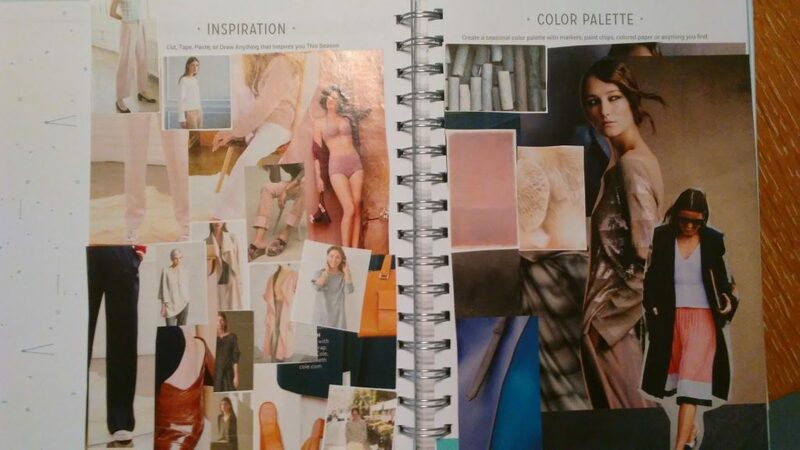 Here are my Black and White + Color Inspiration Boards as well as some of my Style Icons. I love that she has you pick images that are non fashion that you relate to intrinsically and then use adjectives to describe what you’re drawn to. Structure, Movement, Fluid, Introspection, Calm, Beauty, Alone and Peaceful were some of the words I came up with. The colors I was drawn to,while more vivid than my current work palette, are very consistent. 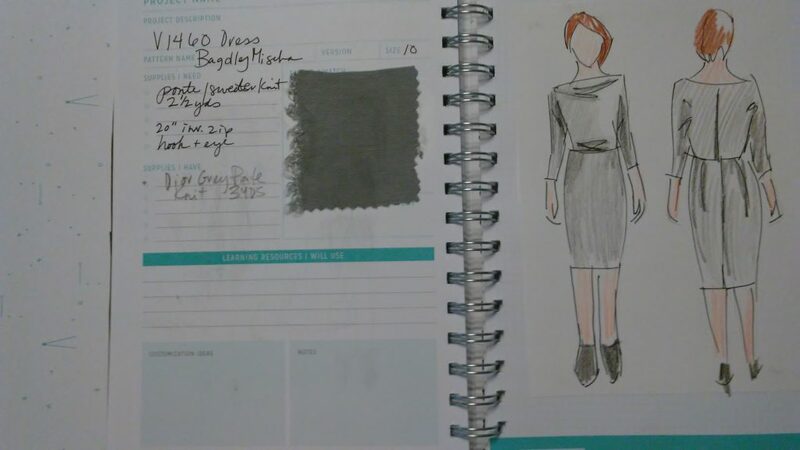 Bagdley Mischka V1460 Dress in Dior Grey Ponte from Marcy Tilton. 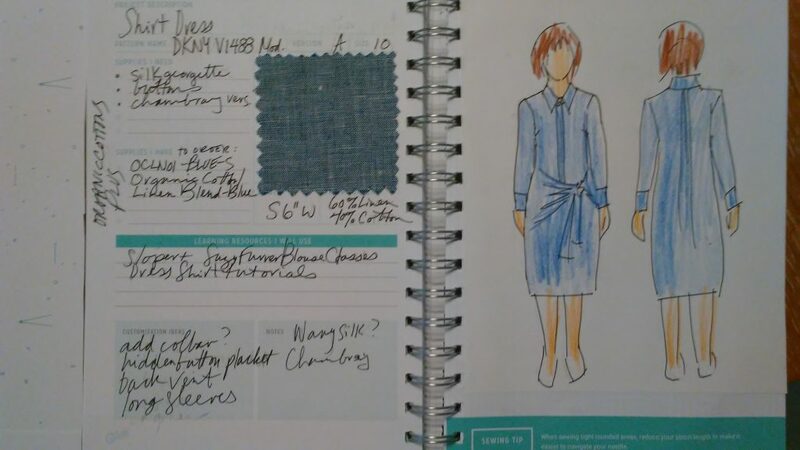 A shirtdress V1488 in a chambray and a silk crepe. A Silk Tunic and Crepe Pants V1509. 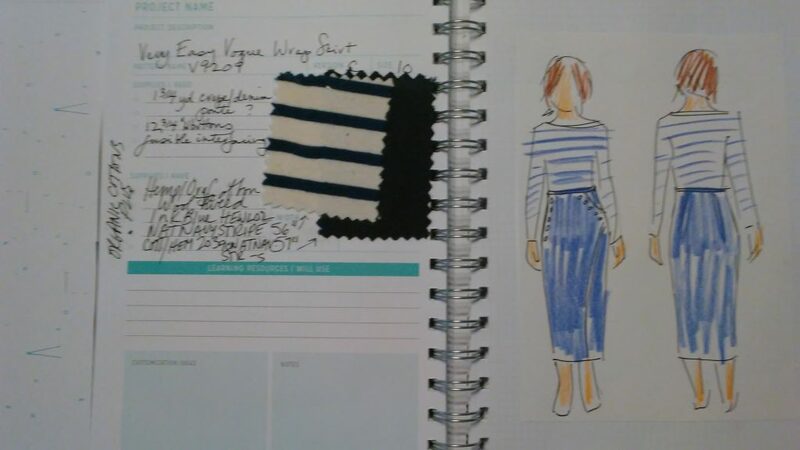 a Highwaist Button Wrap Skirt V9209 in a Navy Hemp Wool Tweed and a Stripe knit top to match. as well a Pale pink silk version of the same ⇑ wrap skirt. Can’t wait to share the finished looks! I’m going to try to share some of my daily work looks on Instagram too! Happy Sewing! I’m so impressed with your wardrobe building plans. 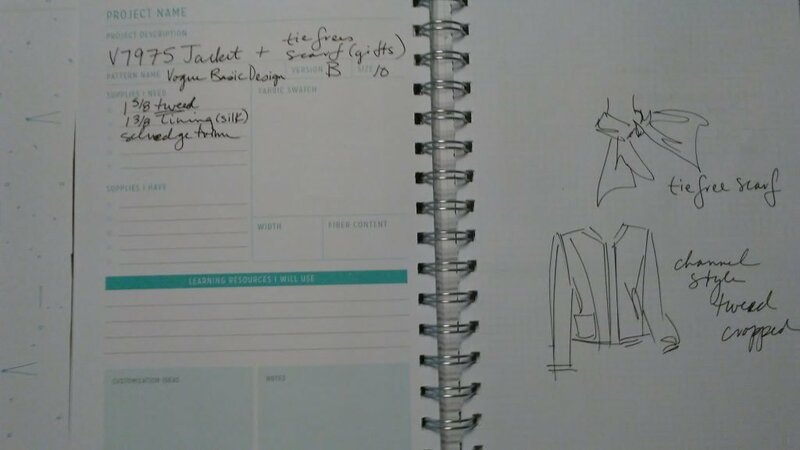 I’ve been a bit stuck with sewing and it’s due to wanting to sew the ‘right’ clothing…you know, things I need and things that I will really love. So…I really will try and do something similar. 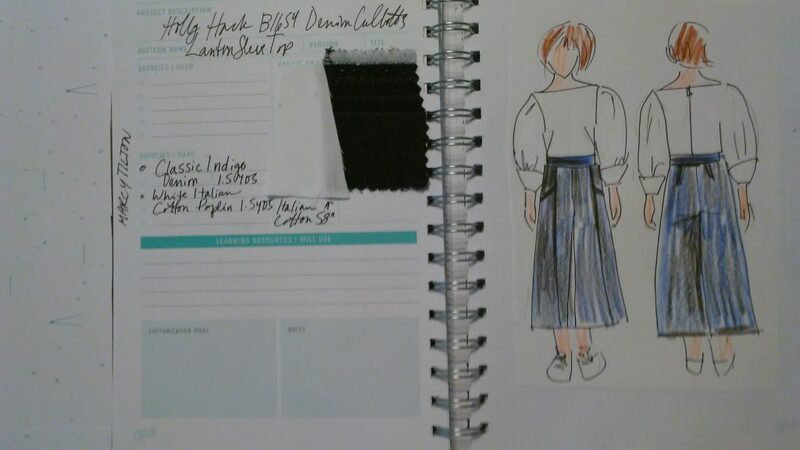 I have DKNY 1488 and I’m looking forward to sewing it. I’m just having a challenge getting the right fabric. 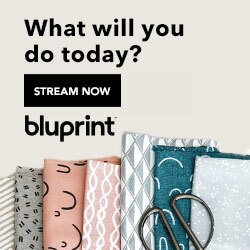 The way the pattern fronts are laid out…off the straight of grain…makes a lot of prints unsuitable. Thanks Sue! I sooo needed all this planning since I had such limited work appropriate clothing. It really helped me stop and think before purchasing fabric. I’m always drawn to the prints so it was hard sticking to all neutrals. But I love how everything is working together. I figure once I have a working wardrobe I can take a break and just sew for fun. 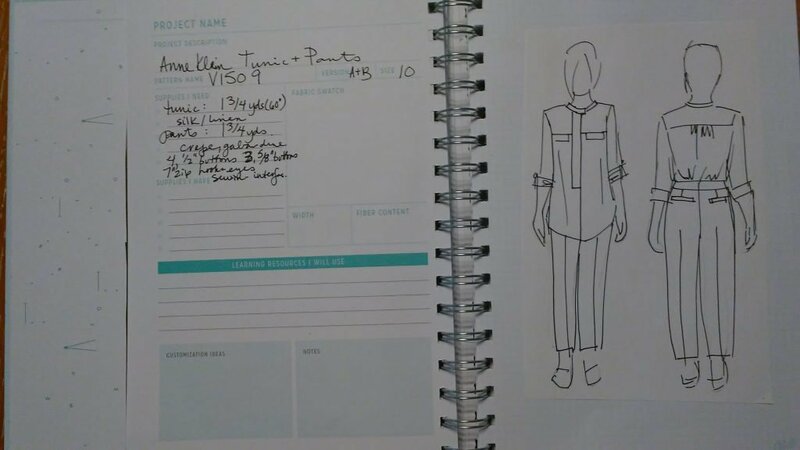 I can’t wait to make that DKNY dress. I’m sticking to a solid color because of those layouts. That’s a lot of planning and research Rebecca but all fabulous styles. You’ll be boardroom-ready. Looking forward to seeing your work wardrobe. I’m super intrigued by the lantern sleeved top! That’s going to be spectacular. I finished it last week and its beautiful! One of my fav makes ever! 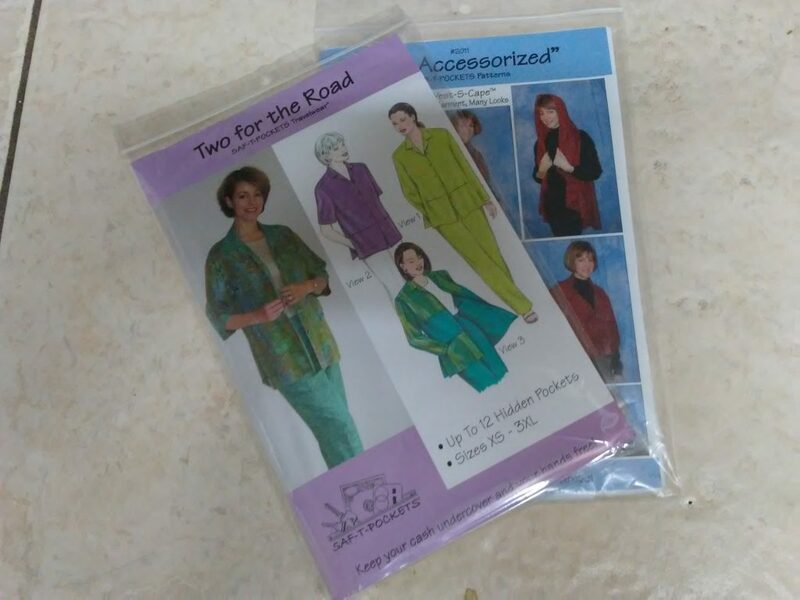 This is such a sophisticated set of sewing plans! How cool! I have been panicking a bit lately because I will be interning next semester and I don’t have any office-appropriate clothes (my current job is very dirty so I wear junky clothes, and in my previous life I worked outdoors in all weather… I’ve never had a job where I couldn’t wear jeans and a t-shirt!). 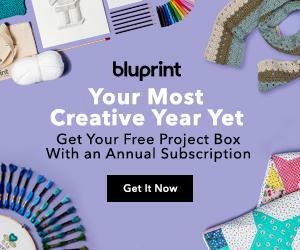 I’ll be going through your Pinterest boards eagerly for inspiration! Thanks Sonja! This is surprisingly one of my first jobs where I do need to be well dressed! My last visual jobs pre-kids were super casual. I feel so elegant in my new work clothes. I wish I had started dressing like earlier! Good luck on the intern job!